A water conditioner system is a key piece of equipment for homeowners in the Austin, Texas area. This is because our region has particularly “hard” water – namely, water that contains dissolved calcium and magnesium minerals from the ground. Although harmless to human health, hard water can complicate several daily household tasks, such as washing dishes, clothes, and hair. Water conditioner systems remove these hardness minerals and replace them with sodium or potassium ions to provide soft water that’s better suited for these and other household activities. Sparkling dishes. When hard water is fed to the dishwasher, calcium and magnesium minerals leave behind stubborn water stains that make dishes appear dull and cloudy. 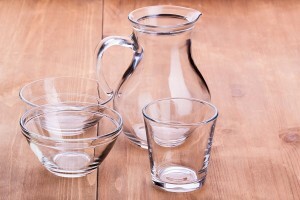 Soft water, conversely, won’t leave behind dingy stains, so your prized glassware and plates will come out of the dishwasher looking cleaner than ever before. Softer, brighter laundry. Hard water minerals combine with laundry detergent to produce a film instead of a rich lather. This substance tends to cling to laundered fabrics, making them appear faded and feel stiff. A water conditioner provides soft water that’s better suited for not only washing clothes, but also keeping them looking their best. Healthier hair. Just as hard water affects the performance of laundry detergent, it inhibits shampoo from properly lathering and, instead, creates a soapy film that coats hair strands. So, without a water conditioner to supply your shower with soft water, your hair may appear dull and feel dry. Life can be tricky enough, so why complicate your daily routine further by settling for hard water in your Austin, TX home? Contact your local authorized RainSoft dealer today to learn more about our dependable whole house water conditioner options and the benefits they can afford to busy homeowners like you. All RainSoft water conditioners are assembled in the USA, come with a Limited Lifetime Warranty, and are Tested and Certified by the Water Quality Association and NSF International.